In many emerging economies, cities are redefined by rapid urbanization, new economies and transformation of identities. As part of the National Biennale for Photography in Denmark, Brandts presents collections from more than 20 photographers from the BRICS countries. Under the theme Cities and Memory, Brazilian, Russian, Indian, Chinese and South African photographers work was curated to reflect on some of these transitions. John Fleetwood curated the South African section of ‘Cities and Memory’ featuring the work of Lebohang Kganye with Jansen van Staden, Moss Moeng and Siphosihle Mkhwanazi. The play between the role of the photography as a personal and collective memory weaves through this group of photographers’ work. Lebohang Kganye foregrounds self-portraiture in Her Story and Heir Story as a way to speak about the presence/absence of her family, ancestry and history in photographs. Jansen van Staden works with the city as a self-narration, allowing a multiplicity of fictions and memories of the real city to unfold. Moss Moeng photographs an empty Soweto at night. Masigu Adidimetseng (translated from seTswana: Silent Nights) is a mode of recall of childhood memory to explore the present. 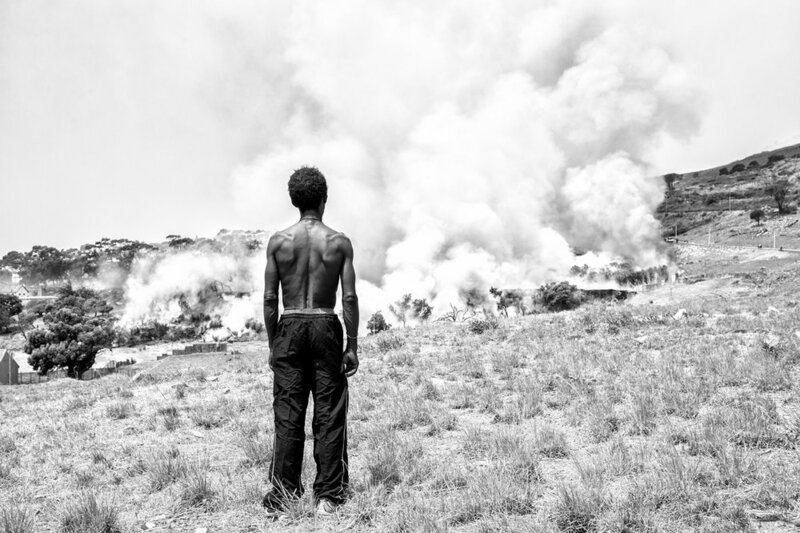 In The Usual SuspectSiphosihle Mkhwanazi confronts the complicated relationship between social stereotypes manufactured through photography and inherent fictive constructions of the image in a work that looks at communities in Vrededorp grappling with substance dependence. The team of curators further included Irenea Chmyreva (Russia), Amit Sheokand (India), Duan Yuting (China) and Livia Benedetti (Brazil). The Photo Biennale is a partnership with Gallery Image in Aarhus and Fotografisk Centre in Copenhagen.